Whether an insurance claim, or just the need to “refresh” your home or business, Infiniti promises to deliver. We realize that honest, quality professionals can be hard to find. That’s why we guarantee our work by providing a warranty on everything we do. Infiniti is a USA owned company and is licensed and fully insured. Call or contact us today for your free quote. Areas like the corners and perimeter of the roof can be susceptible to higher wind pressures than the center of the roof. • Most wind damage to a roof starts on the edge. Spring is here !!!! It takes thinking ahead and preparation to prevent leaks and other roof issues during the spring months. Make sure to schedule a roof inspection with Infiniti Roofing and Remodeling. The storms have passed - now high winds are in the forecast. Did you know you could possibly have damage to your roof? Yes - even without hail or other harmful weather. Significant wind can cause shingles to blow off the roof deck. Missing shingles can lead to leaks and other interior damage. Shingles roofs especially take a beating during high winds. 𝙒𝙤𝙣𝙙𝙚𝙧𝙞𝙣𝙜 𝙬𝙝𝙖𝙩 𝙖𝙧𝙚 𝙮𝙤𝙪𝙧 𝙧𝙚𝙧𝙤𝙤𝙛 𝙤𝙥𝙩𝙞𝙤𝙣𝙨? ‣ 𝘼 𝙘𝙤𝙢𝙥𝙡𝙚𝙩𝙚 𝙧𝙤𝙤𝙛 𝙧𝙚𝙥𝙡𝙖𝙘𝙚𝙢𝙚𝙣𝙩 involves “tearing down” of your existing roofing system and then installing the new roof system. ‣ 𝘼 𝙧𝙚-𝙘𝙤𝙫𝙚𝙧 𝙤𝙛 𝙮𝙤𝙪𝙧 𝙧𝙤𝙤𝙛 𝙨𝙮𝙨𝙩𝙚𝙢 involves the installation of the new roof system over your existing roofing system. 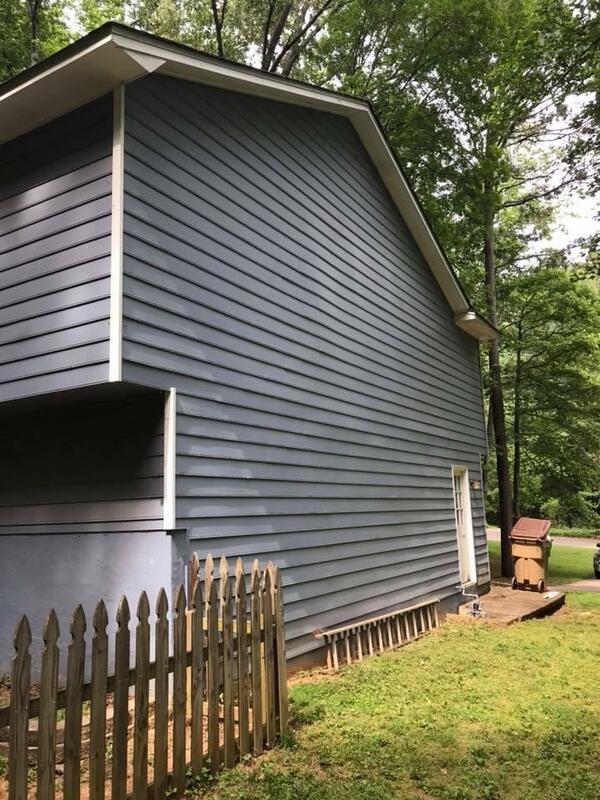 Give us a call today on 770-720-1160 for a 𝙁𝙧𝙚𝙚 roof estimate. Installed metal roof on front home. Just because you can’t see visible damage to your roof after a storm doesn’t mean that your roof is okay. Get your roof inspected by a local and professional roofer. Home improvements will increase the value of your home. Whether you are wanting a change or just to renew your nest interest. If you’re needing a change, here are 10 reasons to remodel your home. 𝐅𝐥𝐨𝐨𝐫𝐢𝐧𝐠 𝐓𝐫𝐚𝐧𝐬𝐢𝐭𝐢𝐨𝐧𝐬: In the world of remodeled homes, you cannot help but transition from one flooring type to another, because different rooms need different types of flooring. ‣ Visible transitions are safer than invisible transitions because the person walking toward them can see and anticipate the change in elevation better.